France will shut down all coal-fired power stations by 2021, President Emmanuel Macron said in an energetic speech to participants at Davos. 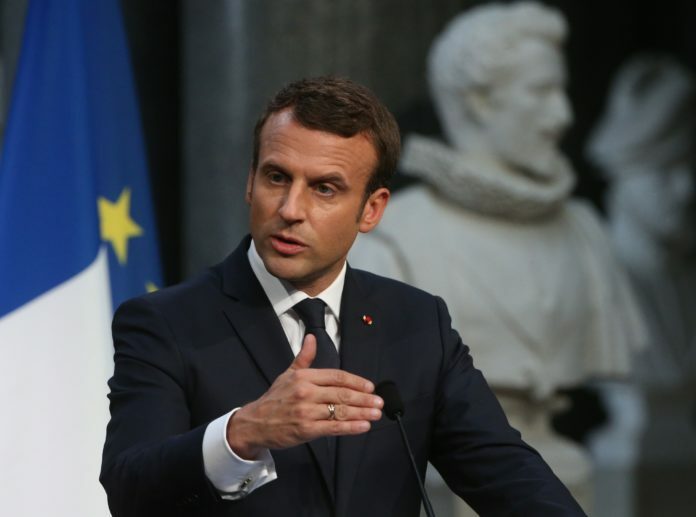 President Macron said he wanted to “make France a model in the fight against climate change,” as one of five pillars in his plans to reform the economy. “That is a huge advantage in terms of attractiveness and competitiveness. Talent will come where it is good to live. We can create a lot of jobs with such a strategy,” he said. Across the European Union, the economic tide is already turning against coal power: more than half of the bloc’s 619 coal-powered plants are losing money, according to a report. A combination of rapidly falling prices for renewables and air pollution laws are pushing them out of business. President Macron also called for the EU, which already opened the world’s first carbon trading market, to “go a little bit further and create a floor price for CO2.” Carbon markets work by providing a financial incentive to pollute less; many experts have called for a minimum price on carbon to boost progress. Not long returned from a meeting with China’s President Xi Jinping, President Macron acknowledged the Chinese leader’s commitment to the Paris Agreement. targeted by the Paris agreement. “On climate change, we’re losing the battle,” Macron said, adding that the world needed concrete action and results by 2020.